As part of our efforts to enforce federal mental health parity laws, the New York State Psychiatric Association has prepared two forms for individuals to submit to their health insurance plans to request information about the fees paid for outpatient services including services used in the treatment of mental illness. NYSPA spearheaded successful efforts to secure mental health parity in New York. 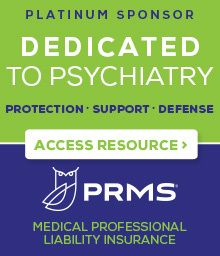 The American Psychiatric Association was a key advocate for enactment of federal law mandating health insurance parity for the treatment of mental illness. Once state and federal parity laws were passed and became effective, our efforts now must switch to parity enforcement. Presented by: Seth P. Stein, Esq. & Rachel Fernbach, Esq.